Turn your pet into cushion so you can hug them forever. THERE'S presents under your tree already and everyone in the house is excited to work out what's in them...but what about your pet? Why should your fur babies miss out at Christmas? Everyone should get something to open on Christmas Day, and your four legged best friend should be no exception. So we've done the work for you and found five unusual and fun gifts for your pet. Imagine never having to pay for a dog groomer again. The Bissell Bark Bath was a big winner at the Brisbane Dog Lover's Show again this year, and its easy to see why. 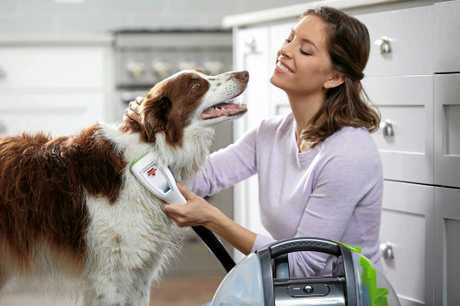 This bathing took attaches to a Bissell portable carpet cleaner and allows you to bathe your pet anywhere anytime with no mess. The nozzles get beneath the fur and down to the skin to allow water and shampoo to wash to skin clean while a soft suction pulls dirt and water to a separate dirty water tank. Best of all it works with any length of fur. Uses only 1.4 litres of water to clean a 34kg dog, so you'll also save money on water bills. This Queensland invention is revelation for taking your pooch to a dog beach and is exclusive to Australia. 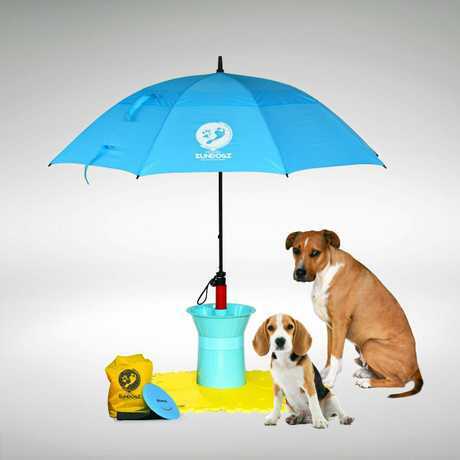 Not only is it a spot to hide your valuables, but it also doubles as a tether with 360 degree access for poochie, a shade umbrella, plus a food and water bowl for your dog. With everything inside sealed, you can bury it in the sand for extra stability and security while you go for a swim, save in the knowledge you dog will be happily tethered and in the shade. Use it at cafes, beaches, gardens, in fact anywhere you can take your dog. SunDogz is the innovate appliance that gives your dog security on trips away from home. 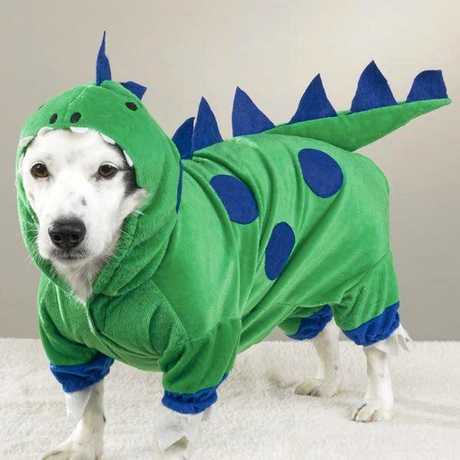 Turn your dog into King of the Monsters with this awesome DogZilla outfit. Made to order here in south east Queensland all coats can be made for any sized dog, custom made to the dogs measurements, with different colour combinations. They also make jerseys so your dog can wear your team's colours including the dogs' name and team number printed on the back. No word yet on a King Kong costume, but we live in hope. 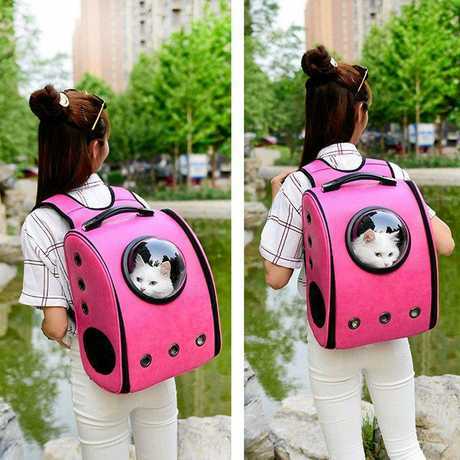 All the rage in Japan, cats are now out and about with their owners thanks to this range of cat backpacks. Perfect for short journeys, and much easier than trying to train your cat to walk on a lead (trust us...you're wasting your time) they come in a variety of colours to match your wardrobe and your puss. The backpack has lots of air vents so the cat remains comfortable at all times...but probably a good idea to avoid taking Puss for walks in summer. 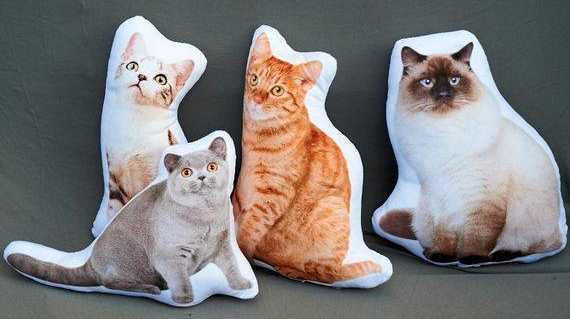 Immortalise your pet with a specially made pet pillow featuring your cat in a plush cuddly pillow. What a great way to enjoy their company forever! Just send in a clear picture of your cat and the pillow is specially made and sent in the mail.